Some of the world's foremost indigenous musicians, dancers and choreographers, theatre-makers, visual artists, film-makers and cooks are coming to London to “perform and inform, to exhibit and explain, to debate and celebrate”. It is time to celebrate our ancient cultures. It is time for Origins – Festival of First Nations from 23rd of October until 3rd of November. “We need to remember that we need bridges and reconciliation with indigenous people who were colonized. And the colonization came from here”, said Michael Walling, founder of Border Crossings and the art director of Origins Festival. Talking to the Media Diversity Institute (MDI), he stressed how important is to remember that there is a different way of looking at the world and that we need to embrace and celebrate ancient cultures. 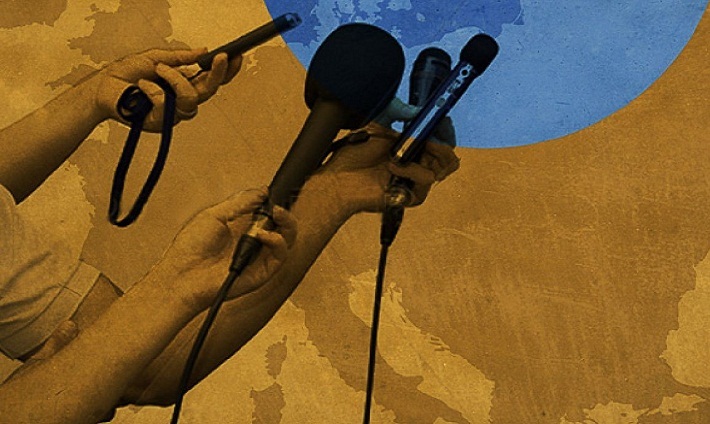 The Anna Lindh Foundation is launching the new project Reporters Across Borders that seeks the participation of young journalists from the Arab region who wish to take part in an exchange aiming at promoting intercultural reporting in the Euromed Region. It is an opportunity for Arab Journalists to move across other Arab and Euromed countries in order to cover intercultural stories and learn from other journalistic practices in the region for one or two weeks with the expenses covered by the organisation. The Media Diversity Institute is inviting senior print, online and broadcast editors from across Europe to meet in Cagliari, Sardinia, between 24-26 October 2013, to share their approaches, opinions and experience in relation to the challenge of balancing freedom of expression with the rise of extremist movements in Europe and how media coverage it. Is Hip Hop Portrayal of Migrants Accurate? Have you ever thought, while watching the video of that hit song that you like, that migrants were unfairly depicted? Or maybe, on the contrary, you thought that their portrayal helped you better understand their culture of origins. On Tuesday 17 September, a public meeting will discuss the representation of migrants on British hip hop videos and its effect on their rights. Eugenia Markova, Senior Research Fellow at the Working Lives Research Institute at London Metropolitan University, and Patrick Turner, lecturer on the Education, Culture and Society programme at Goldsmith University, will show samples of videos they have been researching. Reprazent – Does Britain Hate Young People? Within the UK context, age is one of the areas covered by the Equality Act and as such is known as a ‘protected characteristic’ You are probably familiar with the issue of age discrimination against older people – which often goes hand in hand with gender discrimination – but what about the other end of the age spectrum, young people? According to Press4Change, 76 per cent of UK media coverage of young people is negative resulting in many young people (who represent the UK’s future), feeling demonised and alienated whilst also creating suspicion and fear of young people in other sections of the population, particularly amongst the elderly, causing divisions and worsening social cohesion. When David Cameron and his fellow travellers claim that ‘Britain is broken’ maybe they should be examining media practices more closely as opposed to blaming ‘feral youths’ for all society’s ills?